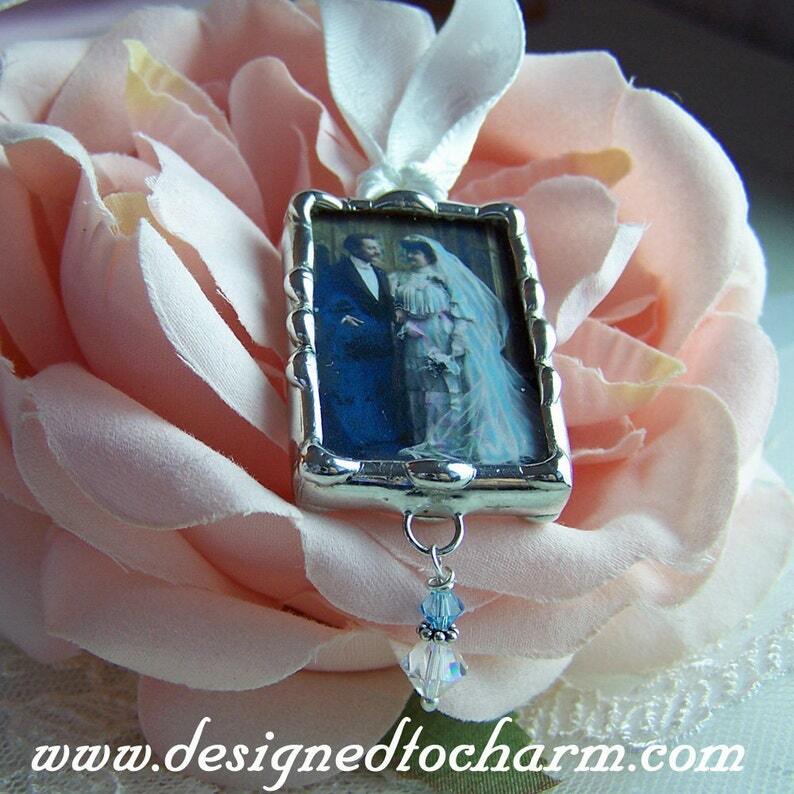 Wedding Bouquet charm to tie on to the bride's bouquet. 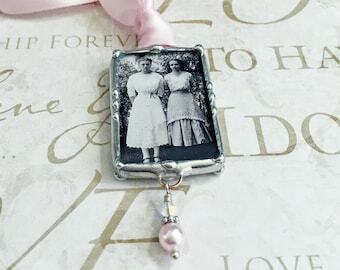 Honor your loved one with this lovely memorial keepsake. I custom make each charm using your photo. I hand solder each piece in the same method as stained glass artists use. Your charm will have an heirloom quality and truly unique from the factory made settings that are typically used. I package each charm in a pretty organza pouch and it will come with a care card so you can keep your charm polished and shiny for years to come.